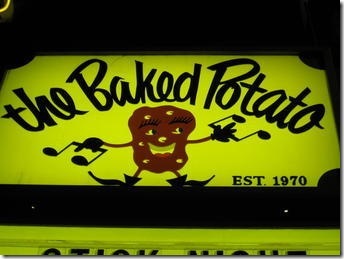 Joe and Rock Candy Funk Party played at the Baked Potato last night. Two sold out crowds were in attendance. Also spotted in the audience was Steve Perry (Journey), Adrian Smith (Iron Maiden), and Dave Amato (REO Speedwagon). Rock Candy Funk Party consists of Arlan Schierbaum (Keys), Ron DeJesus (guitar), Mike Merritt (Bass), Joe Bonamassa (Guitar), and Tal Bergman (Drums). Joe’s good friend Beth Hart came out for a few numbers last night. They played an eleven minute version of I’d Rather Go Blind (Etta James) with Beth Hart on vocals.. just killer! Thanks for posting. I love both Joe and Beth and love the song. She does an amazing job I think better then Etta James. What an incredible version of “I’m a Man” this is! Superb interplay by all. Talk about musical mayhem at it’s best!